A country probably most well-known for its spectacular beach resorts, Thailand is a hugely popular tourist destination with over 6 million people visiting each year. Thankfully, with our extensive international courier delivery network, we can get your parcel to Thailand just as easily. Known as the world’s hottest city, Bangkok is home to more than one-tenth of the entire population of Thailand and is understandably a popular destination for shipping to Thailand. However, at nearly 6,000 miles away from the UK, sending a parcel to Thailand (whether it’s to Bangkok itself or somewhere more off the beaten track) can be daunting. Thankfully you can rely on DPD Local Online to make the process as easy as possible. With our express and economy courier delivery options at your fingertips, finding out the information you need to make an informed decision about shipping to Thailand is stress-free. And you can be certain that our parcel couriers don’t just deliver; they deliver with care. To get your parcel to Thailand in the safest hands possible, arrange your parcel courier with DPD Local Online today. Do I need to deal with customs when sending from the UK to Thailand? You’ll need to be ready to deal with customs and import taxes when posting to Thailand. Thankfully dealing with customs is easy when you buy with DPDLocal-Online. We’ll send over all the correct customs documents you need when you book with us, so you can rest easy knowing that your package will be delivered around the world without any fuss. How much does it cost to send a parcel from the UK to Thailand? When you shop through DPDLocal-Online, postage to Thailand starts at as little as £26.33. We ensure that our prices are better than anyone else’s by offering the best deals, and we always pass on the savings to our customers. How should I address my parcel for delivery to Thailand? When addressing a parcel to Thailand, it’s worth being aware that there are a few differences between their national format and the one we use here in the UK. 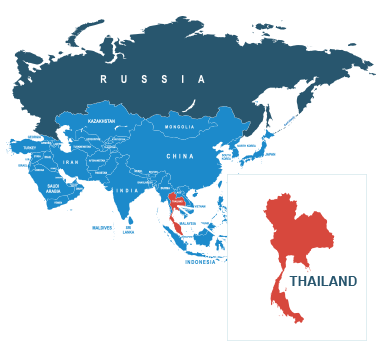 Thankfully, the Universal Postal Union has highlighted exactly how you should address an item heading for Thailand in this handy online guide. You’ll find the full list here. And for a better grasp of what kind of items you might not be permitted to send with our couriers, see our prohibited items page.